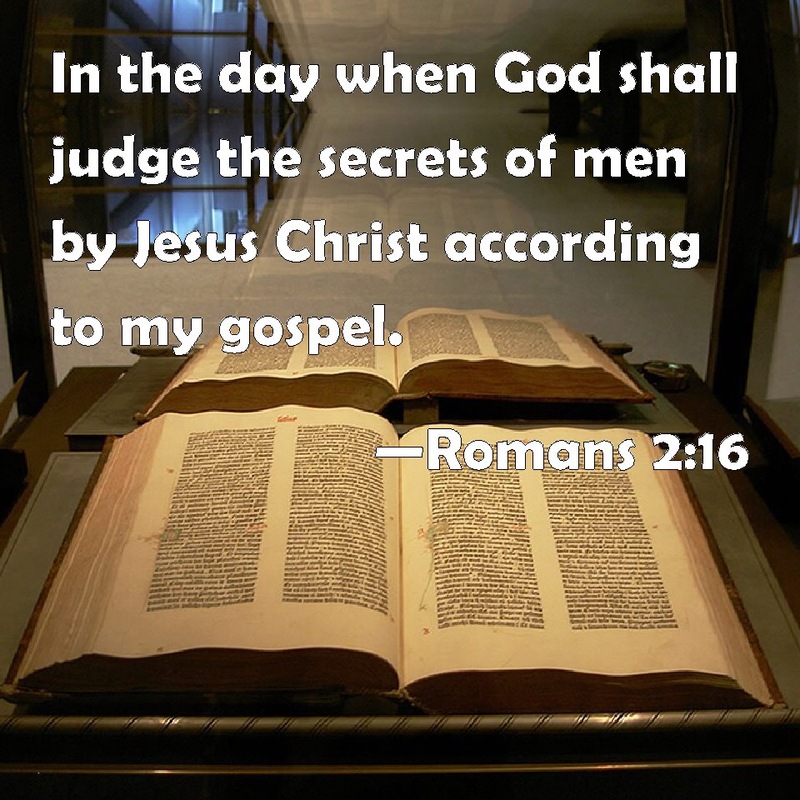 In Romans 2:16, Paul does something curious; he calls the gospel, “my gospel.” Funny. In most other places he uses the plural possessive,”our gospel.” But here he calls it his own. Paul doesn’t mean that he is the author of it or that he has some sort of exclusivity with it. What he is doing is taking ownership of it and (as Spurgeon says) “holding it with both hands, grasping it as his very own.” He is binding it to his heart. He’s making it personal. I join Paul in calling the gospel of Jesus Christ mine. It is my very own. All else is vanity and lies. This is my gospel. Is it yours? This entry was posted in Christian and tagged Apostle Paul, Bible, bible study, biblical, Christ, Christ Follower, Christian, Christianity, Christology, church, Discipleship, Evangelism, Faith, God, God's love, Good news, Gospel, Hermeneutics, Holy Spirit, Hope, Jesus, Jesus Christ, Lord, Love, Ministry, new testament, Paul, Praise, prayer, Preach, Religion, Religion and Spirituality, Romans, Salvation, Scripture, Spiritual Health, theology, Worship. Bookmark the permalink.